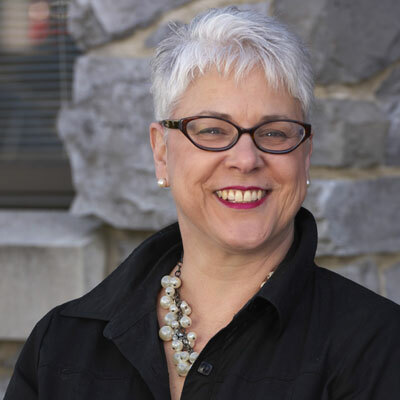 There is no "T minus Zero"
We specialize in supporting marketing professionals and corporate clients. 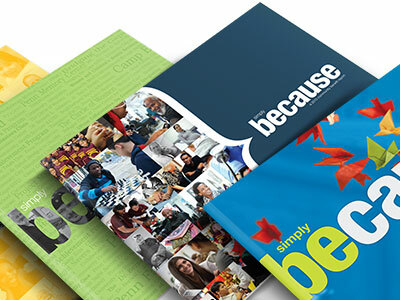 Our attention to branding, collateral, and direct response disciplines consistently produces hard-working materials. Tminus1 can be many things to many clients. For some we are a full-service agency... others a creative partner... others a project-based resource. Our size and structure allow us to be flexible and nimble. 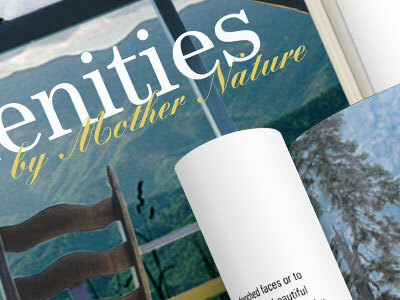 Print, direct response, collateral/literature, or e‑communications, Tminus1 Creative knows how to deliver. On the occasion when we don't, we figure it out and we make it happen. We love saving the day. We love making you look good. We love finding a way when it was thought there was no way. You could call it solution-focused or work pride. We call it "every day." It's taken years to develop a staff who does great work and works great together. Consulting to concept to creation and deployment, we can handle any, or all, aspects of your marketing endeavours. Here are some projects that we are particularly fond of. "They deliver results-driven creative that continuously generates an ROI lift over the control." As a long-time partner, Tminus1 has been my go-to creative team. They marry the strategy with the creative execution that produces results. Not to mention, they are great to work with. "Leading edge design, extraordinary ideas!" All from a grounded understanding of our business, our brand and our future. Tminus1 listened, created and successfully moved our marketing and public perception into the modern era. We’ve got a lot more to do and we know Tminus1 will put us solidly in the minds we want to reach. 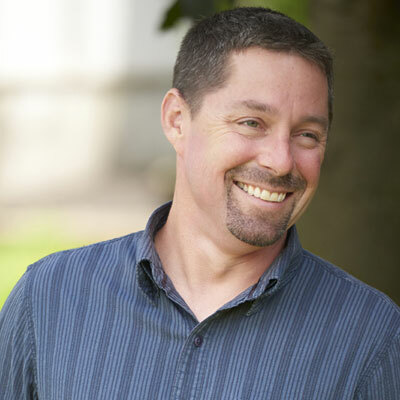 "Tminus1 are by far the greatest designers that I have worked with in my marketing career." Their attention to detail, willingness to push back (enough) to insure a stellar final product and team member approach was amazing and is a rare trait in today's market. [They are] insightful, creative and always thinking two steps ahead. "Tminus1 has a vast understanding of direct marketing." 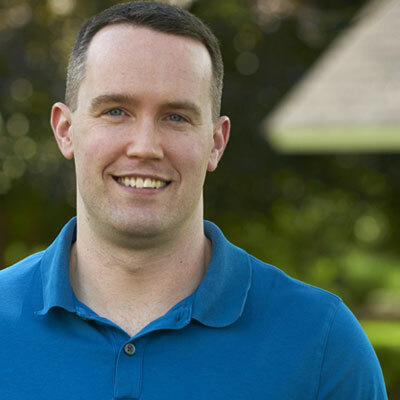 Their teams are very detail oriented and have a can-do attitude. I’ve worked with them on many projects from complex prequalified campaign letters with multiple versions, landing pages and calculators to special event invitation designs. They always deliver high quality materials even in compressed timeframes. "They are a complete joy to work and collaborate with." Their professionalism and vision coupled with precise execution always ensure that a job is completed efficiently and flawlessly. 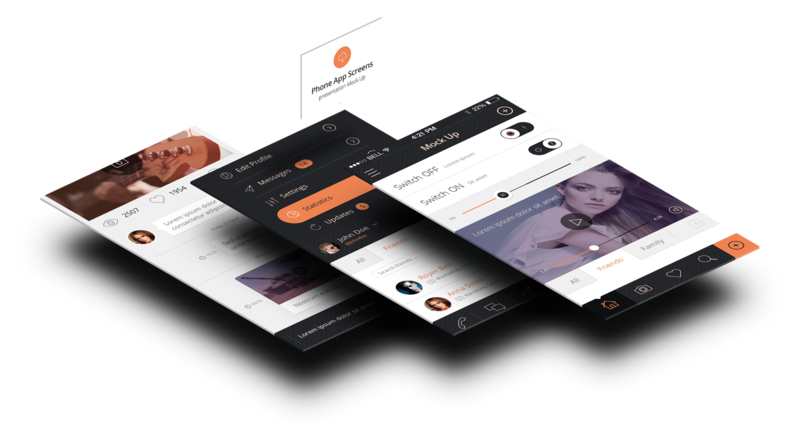 They are also open to suggestions if a concept is not quite meshing and can easily switch gears and work as a team to guarantee that the client is always satisfied with the end result. Tminus1 helps make our job easier and always helps in making us look better! Tminus1 has gained experience by completing work for a large, diverse and growing list of companies either directly or with our agency partners. 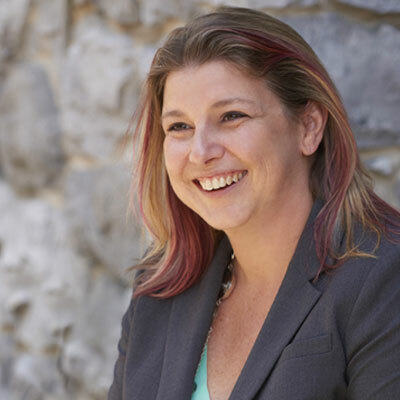 This cross-industry experience provides a broader vision while developing client solutions. Here are just a few of them. Need an introduction? Have an immediate project? Just plain curious? We're anxious to hear from you and we'll be quick to respond! 122 John Robert Thomas Dr.
© 2015-2016 Tminus1 Creative, Inc. 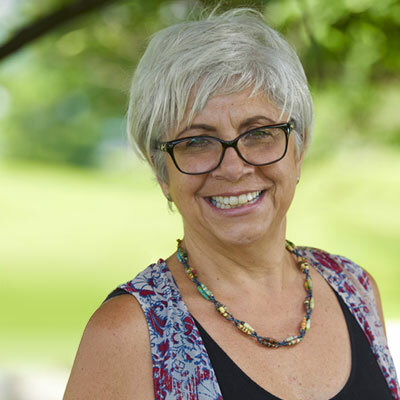 CHALLENGE: A change in legislation required non-profits to publicly publish something that spoke to their endeavors to validate their non-profit status. 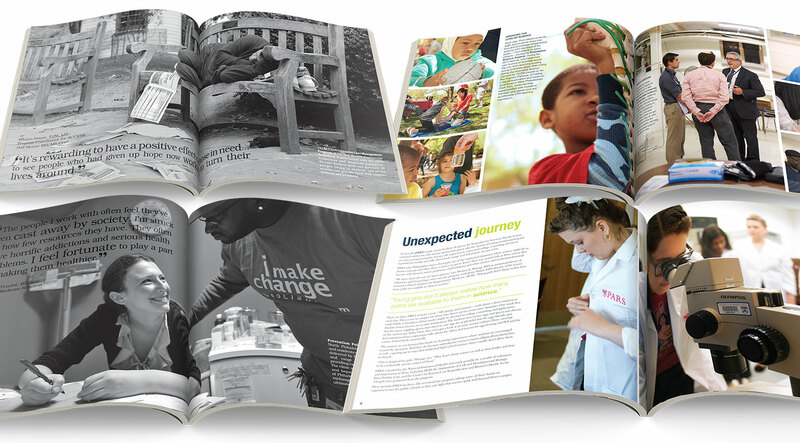 Penn Medicine desired an annual publication that spoke about their work in the community. Unfortunately community work, which includes many free services, does not report as many figures as a corporate annual report typically would. SOLUTION: Penn Medicine's community benefit programs do not generate revenue to report on, but they do generate stories. And those stories could be captured best in photography. So the solution was to create a coffee table style book once a year reporting on the numerous programs, clinics and events that their doctors, nurses and students voluntarily run or participate in. 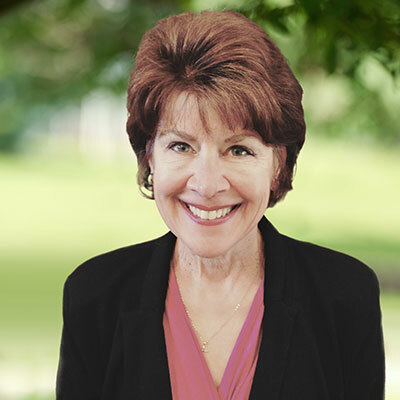 The descriptions of the no-cost or low-cost programs satisfy the requirements of the legislation, while the heart warming stories show what Penn Medicine gives back to their community simply because. One of our favorite projects, Tminus1 has been working with Peggy Peterson Photography to produce Simply Because since 2006. 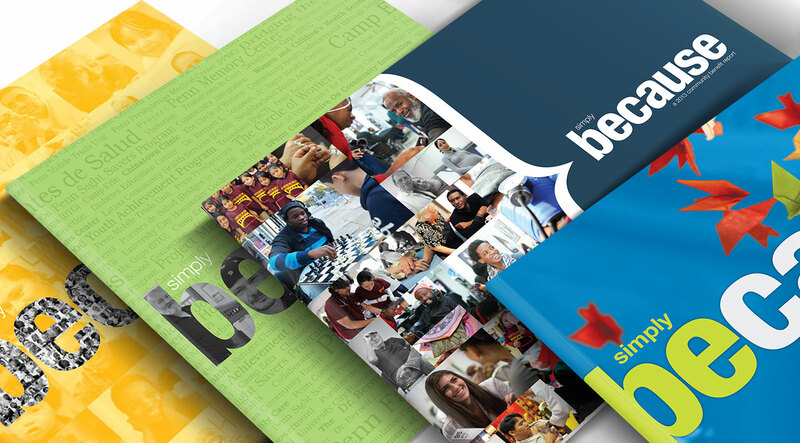 Since 2007, this community benefit report has been an agency favorite. 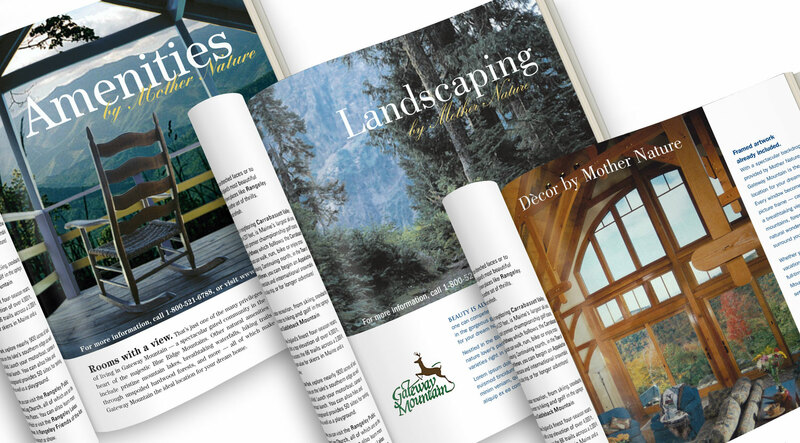 What could be better than creating a coffee-table style book with gorgeous on-location photography and the most heartfelt stories each year? The creative award competitions have been kind to us over the years, too. 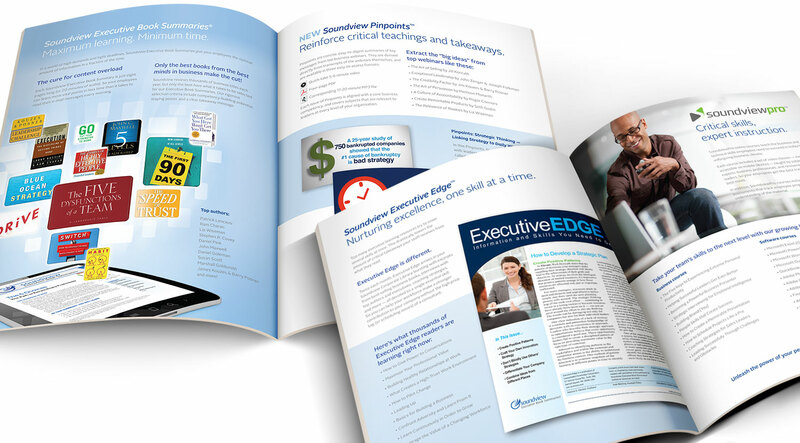 In the tiniest nutshell, Soundview creates 8-page summaries of leading business books and delivers them via subscription. 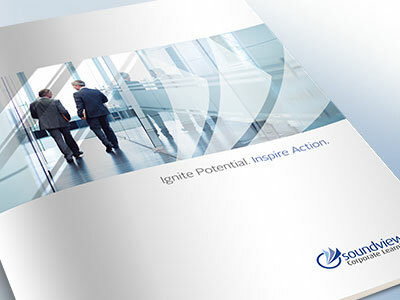 What they really do for an executive is ignite potential and inspire action. 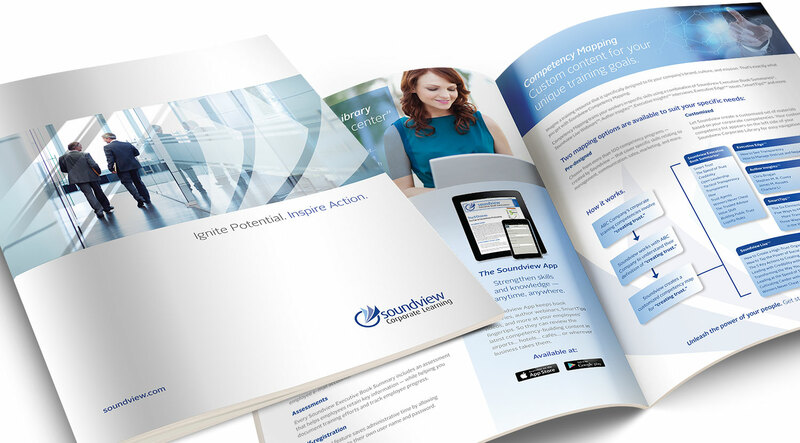 So we redesigned their brochure to say just that... and tied customer benefits to all of their product offerings. 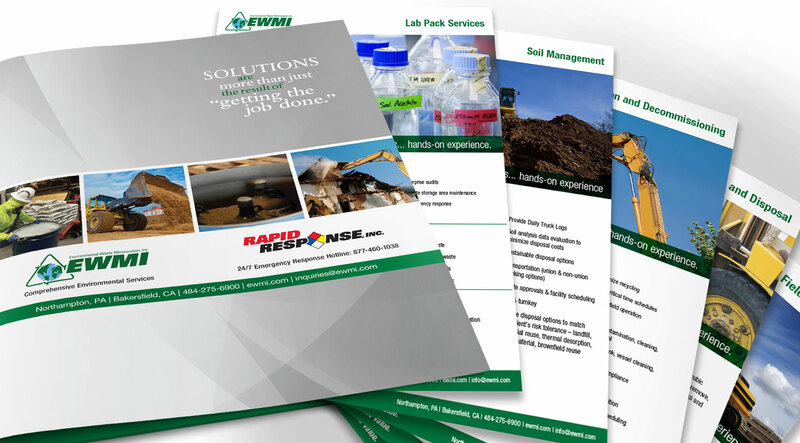 This pocket folder for EWMI is used to hold sales sheets for their marketing team, proposals for their sales department, or on-the-job documents for the field crews. It looks equally good on a desk or at a job site. 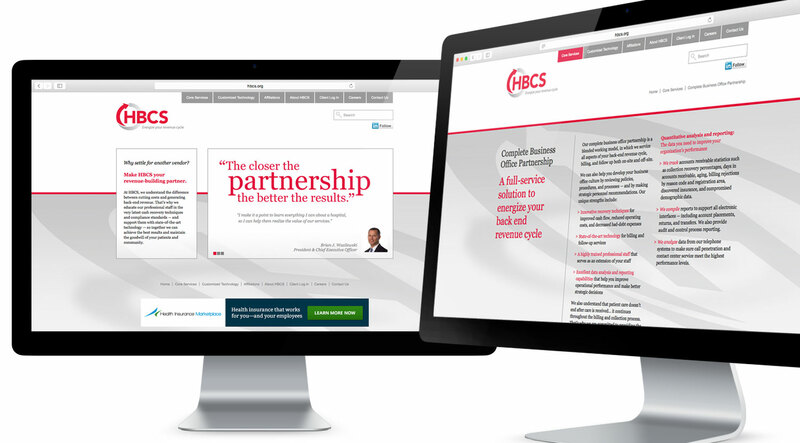 Although HBCS works with payments, they are not a bank. They coordinate with medical insurances, but they are not an insurance company. Their clients are hospitals, but they themselves are not in the medical industry. 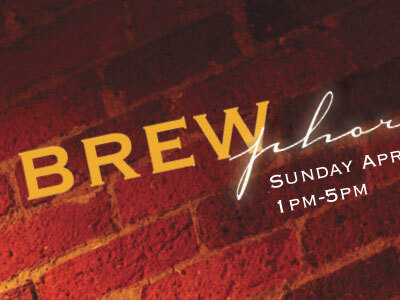 So we used an all-typography style on their website to avoid potentially misleading viewers with industry photography. 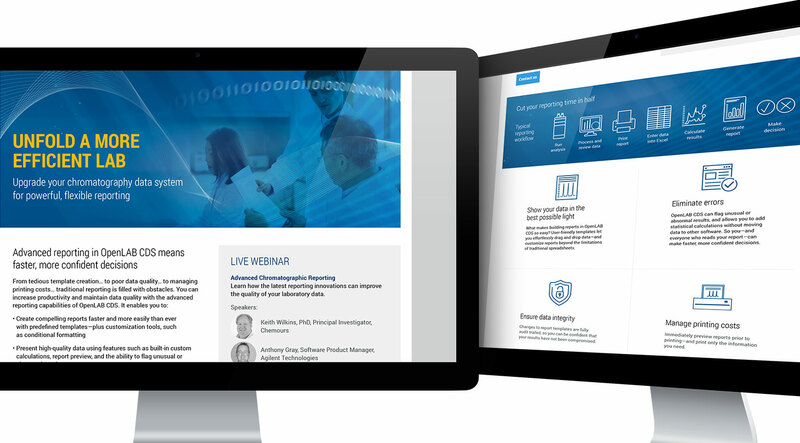 The result is a crisp, clean and credible site. 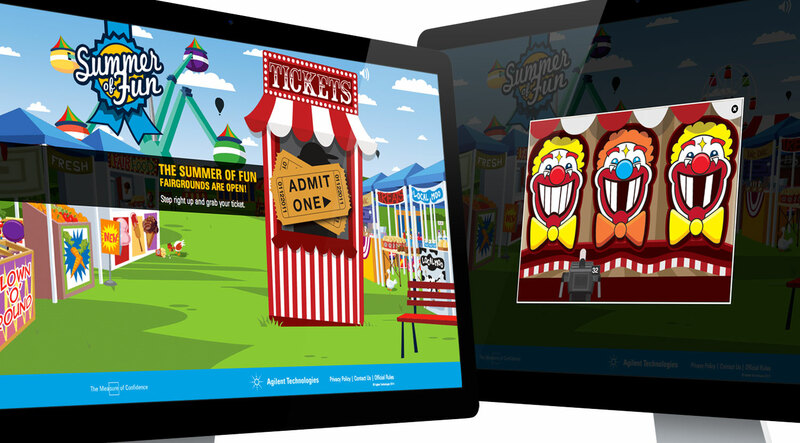 In the customer-vacationing days of summer, Agilent Technologies takes a break from promoting scientific instruments and supplies by giving customers a "Summer of Fun" game. 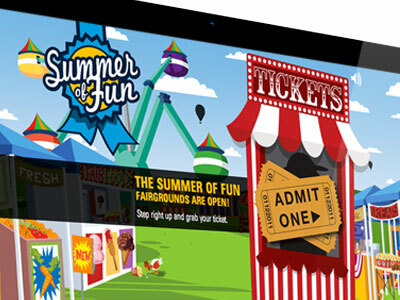 Each summer, the game theme is different and prizes include gifts or discounts. 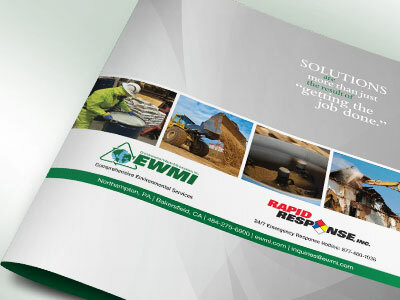 The EWMI/RRI stationery has to work twice as hard with two companies under one roof. 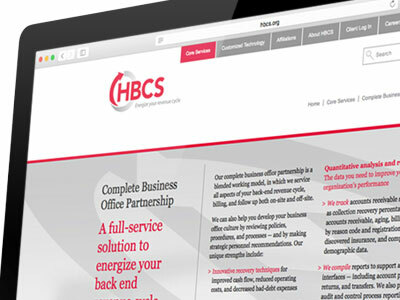 After designing each logo, we found that the stationery system needed a neutral color to tie the companies together. Gray did the trick and it worked as a single imprint color for employee business cards. 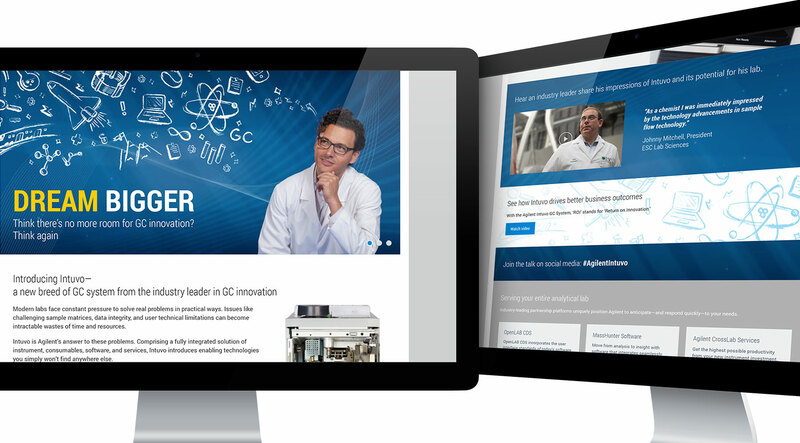 These icons were created to help differentiate industries in Agilent's segment marketing tactics. 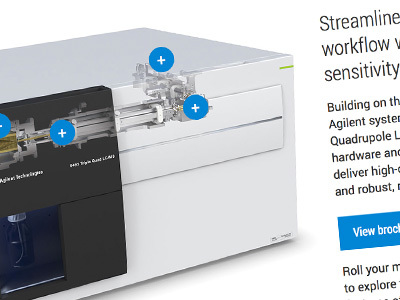 The visual identifiers give a quick connection for the scientists and their segments of work. 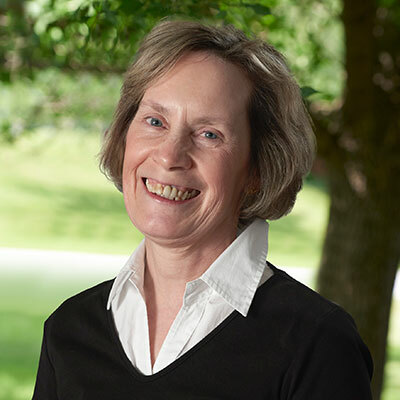 At the time, Black Walnut was just a fledgling winery with a modest budget. However, they still needed a business card with depth — like their wine. 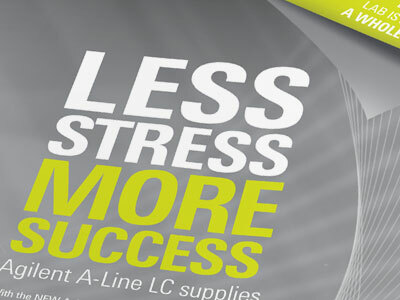 Colored paper stock and the use of three printing inks provided great tonal range while keeping the job in budget. 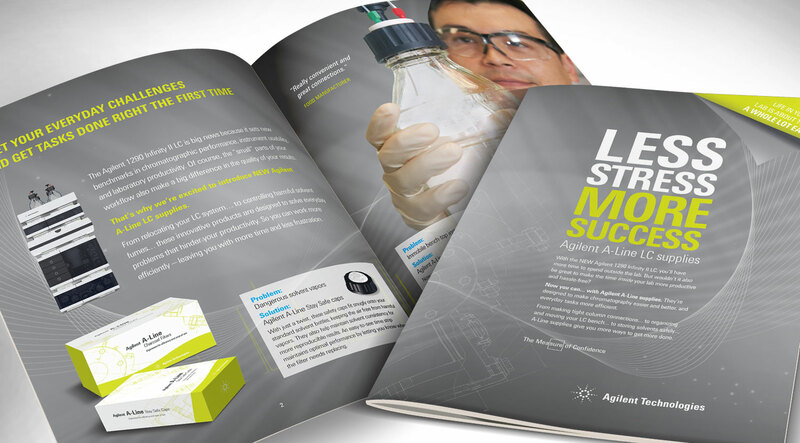 A full-color magazine insert was a great way to showcase Agilent's new product line complete with new product packaging. The multi-page insert was later converted into a brochure. 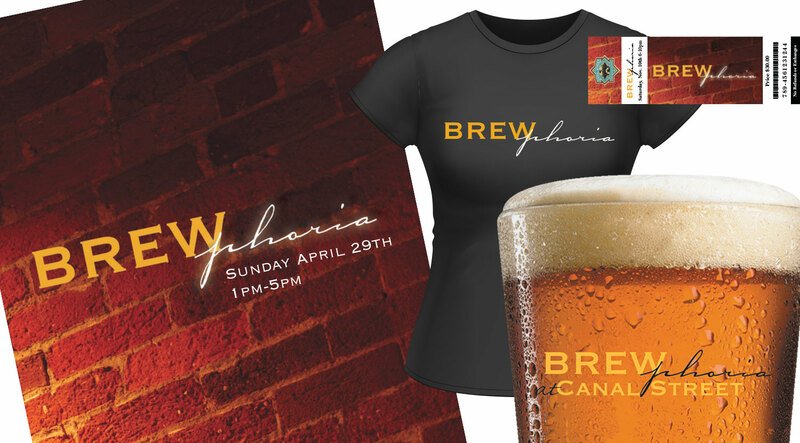 Brewphoria is a brand created for Canal Street Restaurant and Bar's craft beer event. Each year, dozens of brewers bring their finest offerings for a night of beer tasting, music and food. In shipping logistics, time, space, and procedures are everything and errors cost money. 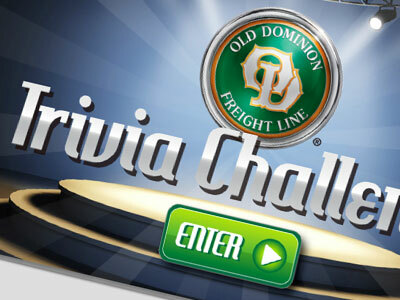 Old Dominion needed a tool to help educate customers on common shipping errors in a fun, friendly way. 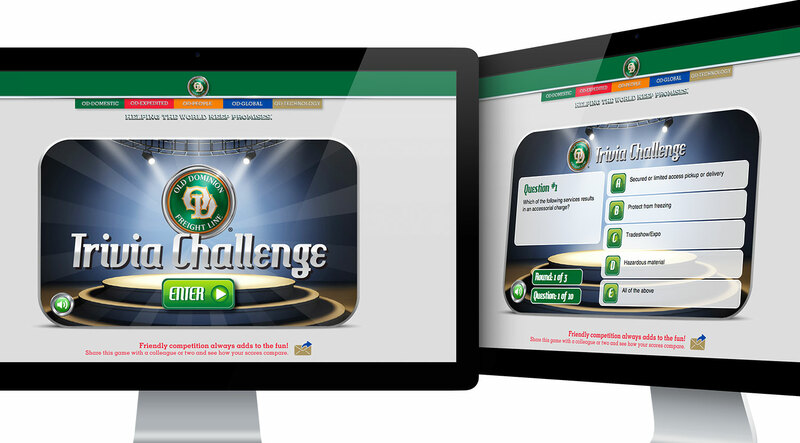 This online game uses visuals, sounds and trivia to create awareness about potential problems that customers can avoid to improve their shipments. In the heart of the majestic Blue Ridge Mountains is Gateway Mountain, a private residential commmunity. 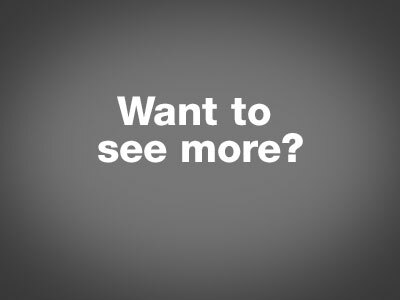 This ad series focused on just one of the amazing amenities that the properties offer – the views. 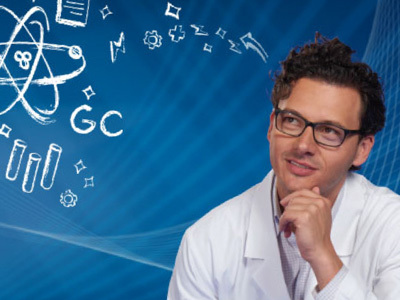 Holding a scientist's attention can be a tricky task. 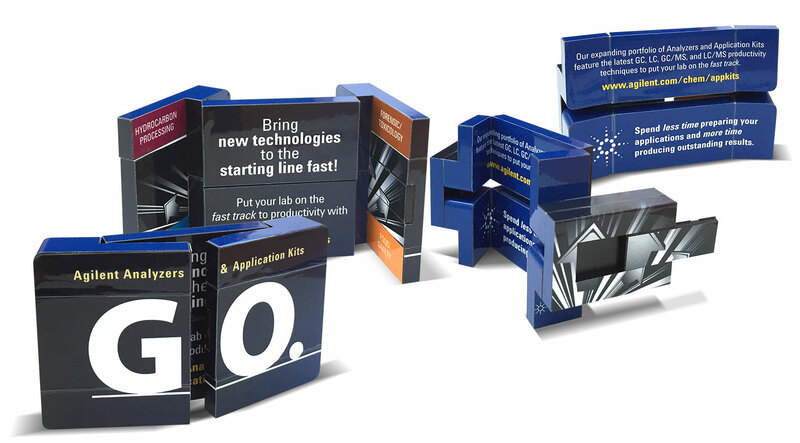 This trade show promo item places Aglient's message in an ever-unfolding block. But this is not just a toy, it also has a small USB drive that slides out. 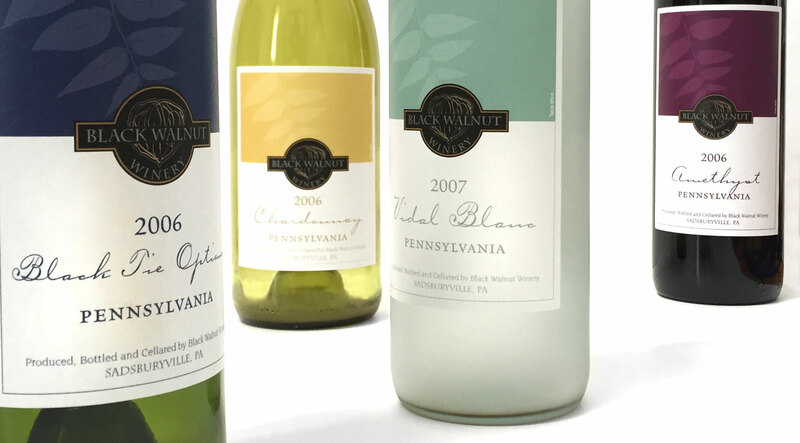 Black Walnut is very creative with their wines, and that means a need for a bottle label design system that gives the varietals individuality while not straying from Black Walnut's brand. 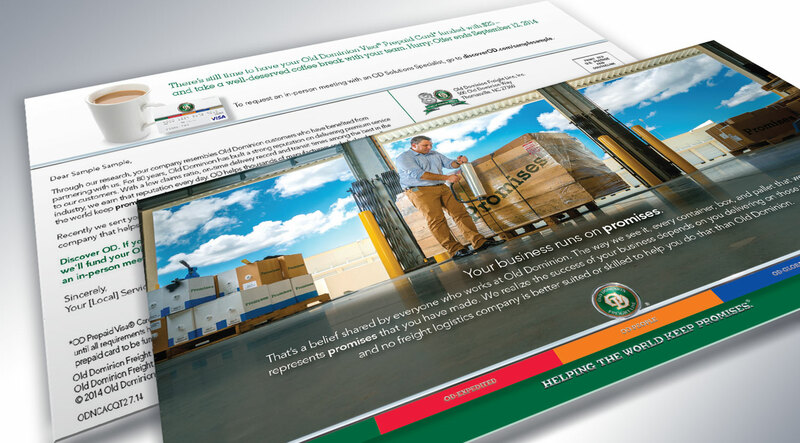 This freight logistics company realizes that when businesses ship, they are giving a promise. Old Dominon makes sure that promise is delivered. 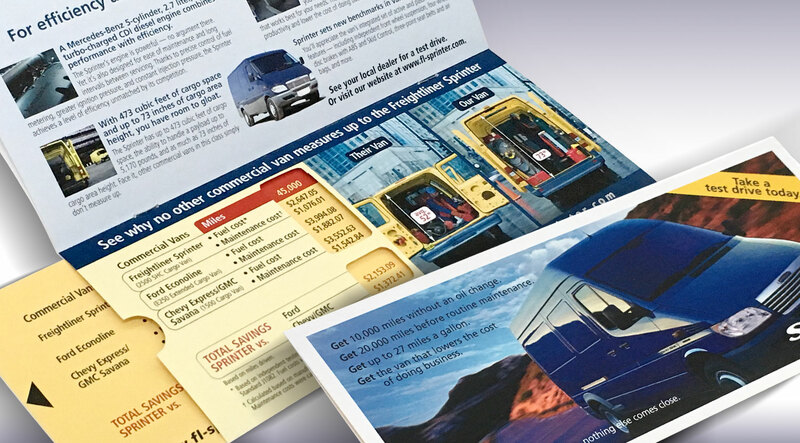 Postcards, selfmailers, emails, landing pages and an online game, are all part of campaigns we have helped develop. This unique-looking van that is taller than it is wide is called a Sprinter. Freightliner wanted to point out that size was not the only difference in owning this van. 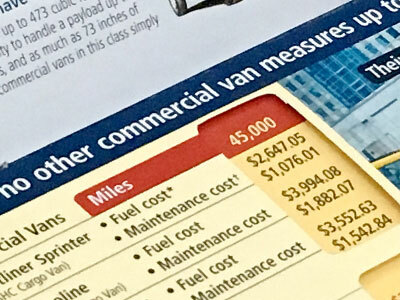 So we created a self-mailer that included a personalized letter, brochure copy and a slide rule showing head-to-head comparisons with the competition on fuel and maintenance costs at different mile segments. And the whole thing was printed on one sheet of paper. 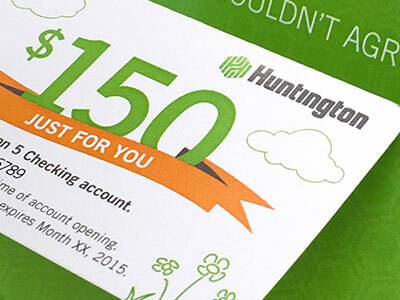 This flexible format was created for Huntington Bank. It's personlized with name, address and promo code. 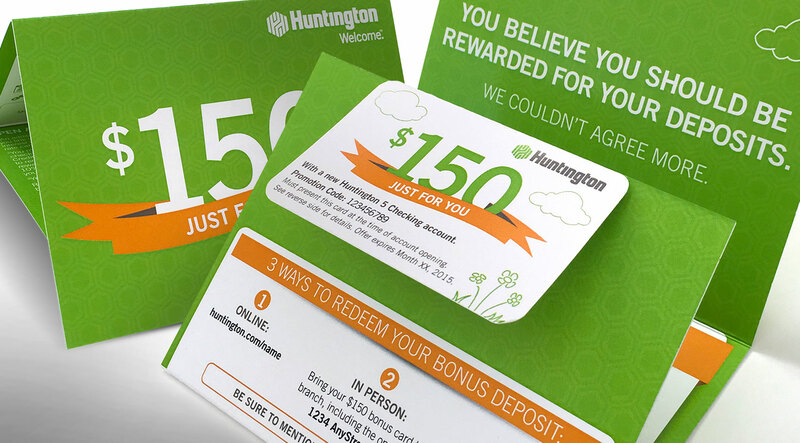 The card is an easy-tear-off action device to get prospects into the branch, but a PURL is also supplied for online access to the promotion. When launching a new category of product—something the market has not seen before—the promotional landing page carries a lot of information. Organization and message flow was key here to capture attention and then guide the reader through the numerous game-changing innovations that Intuvo contains. 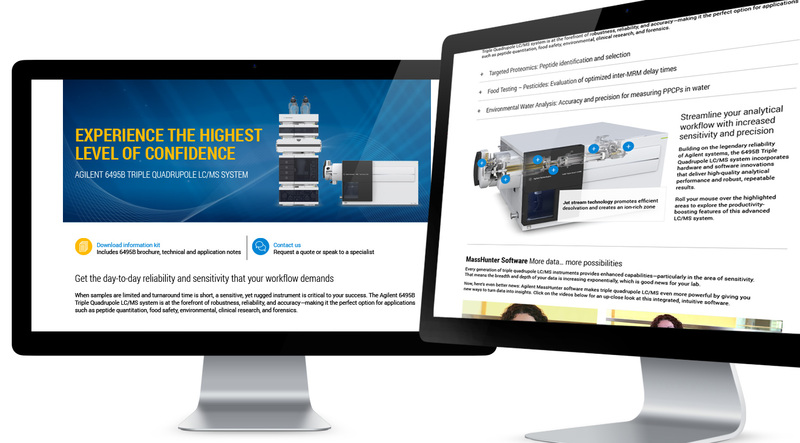 Promotional landing pages for scientific instruments can quickly get bogged down with technical information. Our challenge is to organize it and present it in a way that delivers the marketing message while providiong access to technical details. 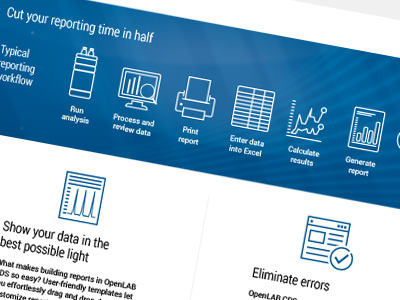 Sometimes clean graphics and small animations are all that is needed to guide the reader through features and benefits on the landing page.